Published: Oct. 18, 2018 at 08:38 p.m. Published: Oct. 22, 2017 at 04:55 p.m.
Denver Broncos defense keep the Los Angeles Chargers from scoring on 4th down. 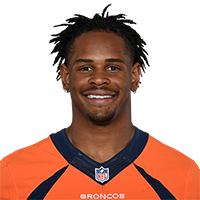 Published: Sept. 12, 2017 at 12:39 a.m.
Denver Broncos linebacker Todd Davis stops Los Angeles Chargers running back Melvin Gordon on fourth down. Published: Oct. 24, 2016 at 10:46 p.m.
Denver Broncos safeties Darian Stewart and T.J. Ward force a fumble on Houston Texans running back Alfred Blue and the Broncos recover it.